What was happening in Dragon Ball on your birth week? Re: What was happening in Dragon Ball on your birth week? Doctor. wrote: "Dragon Ball Z: The Greatest Dragon Ball Legend is a fighting game produced and released by Bandai on May 31, 1996 in Japan, released for the Sega Saturn and PlayStation. Greatest Hits versions were released on June 20, 1997 for the Saturn and June 27, 1997 for the PlayStation." It's funny you say this, since I was also born in June of 1997, only 9 days before you were. I was born on the same day GT #49 (the Liang Xing Long/Haze Shenron episode) aired in Japan, which feels weird since I can't say I was born on the same day as an episode of the Simpsons or something, since most western shows are on break during June-August. Looking back, Ocean, Saban and Funi probably also would have been working on their dub of the Namek Saga the week I was born, since It began airing in September of 97, following the completion of the Saiyan Saga on TV in May of that year. I'll play too! When I was born... Akira Toriyama was just about to release Wonder Island #1 for Weekly Shonen Jump, his very first manga! That apparently makes me quite old. I was born one month and a half before the release of "Bulma and Son Goku". When my wife was born, Piccolo Daimaoh had just take over the world in the manga, and in the anime, Yamcha was battling Tenshinhan. I love how this thread keeps jumping up every few weeks. I was born in late July of 1994, so let's see what was going on in the Dragon Ball universe with regard to both the manga serialization and anime broadcast at that point in time. Manga: My birth fell during the break in Chapter 480, "The Fusion is Completed at Last!!" and 481, "The Earth Army's Secret Weapon" which premiered in Weeky Shonen Jump 1994 issues #34 and #35 respectively. So i came right after Goten and Trunks had finally mastered the Fusion technique and became the warrior Gotenks. Anime: My birth was in between DBZ episode 234, "The Terrifying Majin!! Gohan's Approaching Fear of Death" on July 27th and episode 235, "Gonna Eat'cha!! A Hungry Majin's Supernatural Power on August 3rd. 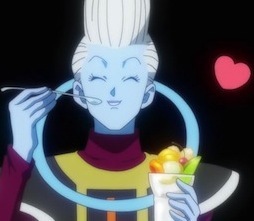 At that point it was in the middle of Fat Buu's and Babidi's (and Dabura's) continued reign of terror on Earth. Fancy that, as i came into the world the Buu arc was in full swing over in Japan. Last edited by SuperSaiyaManZ94 on Thu Jan 10, 2019 10:47 am, edited 7 times in total. That's awesome! Always wanted a good Kid Goku cell. Why don't you buy one? Every time I look there aren't any! It's almost always Z stuff. Any good places to have bookmarked? KBABZ wrote: Every time I look there aren't any! It's almost always Z stuff. Any good places to have bookmarked? March 13th, 1990. Episode 40 of Dragon Ball Z, "Honest to Goodness? There Lies Namek, Planet of Hope" aired a day later on March 14th. So you were born in 1984, i assume based on those two films having come out in the course of the year, the first chapter of Dragon Ball premiered in Weekly Shonen Jump #51 on November 20th of that year. I'm guessing you came into the world well before that point. Yup indeed May 14th for being accurate. 1984 was a good year for the movie industrie. Somehow all those movie can define me in some way, but let's not digress in topic when I was born Dragon Ball didn't existed yet. Yeah, if your birth was in May then it was just about six months prior to Dragon Ball's official debut in Weekly Shonen Jump which was on November 20th, 1984. That's interesting how you came into the world when it wasn't even a thing in Japan yet, heck Dr. Slump had not even finished it's serialization in Jump as it ran until September 10th of that year. It's interesting to see people here in this thread who were born prior to Dragon Ball existing in any capacity, be it the manga or anime. I came in 1994 so it was while both of them were still going on, as the manga didn't wrap up it's serialization until May 1995 and DBZ continued airing until episode 291 on January 31, 1996. Manga: First chapter of Uranai Baba arc. Anime: Goku fought with Metallic.